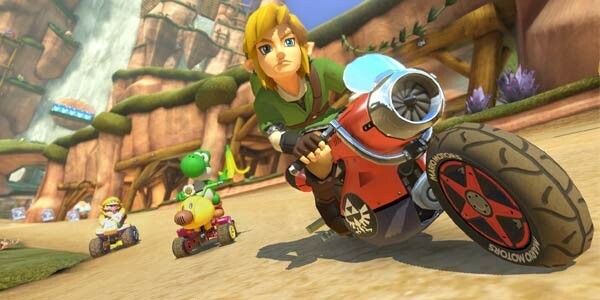 Game changing and extremely exciting Mario Kart 8 news was announced today by Nintendo. 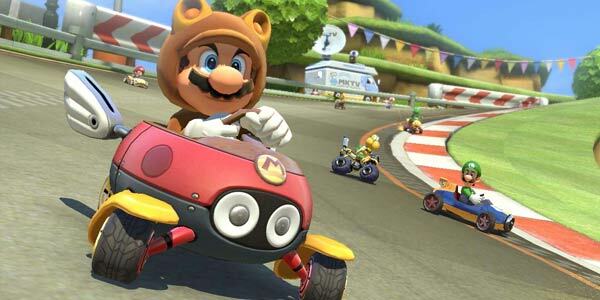 Two DLC packs will be available that will hugely expand the Mario Kart 8 gaming experience. The packs, which launch this fall and in spring of 2015, and are available for advance purchase starting Aug. 27 at $7.99 each (or $11.99 for both), deliver a ton of new content, including first-time crossover characters like Link from The Legend of Zelda franchise and both Isabelle and the Villager from the Animal Crossing series. In addition to the two DLC’s, a previously announced game update goes live Aug. 27 that adds a variety of new features, including three free Mercedes-Benz cars that players can race: the modern Mercedes-Benz GLA, the 300 SL Roadster from the 1950s and the legendary Silver Arrow of the 1930s. See this car in action below. Each pack will contain two new cups, each with four courses, which, in total, increases the number of currently available courses by 50 percent. The DLC packs include classic courses like Wario’s Gold Mine from Mario Kart Wii, as well as new courses, some taking place in the worlds of The Legend of Zelda and Animal Crossing. New vehicles will also arrive with each pack, including the Blue Falcon kart representing the F-Zero franchise in the first DLC pack.